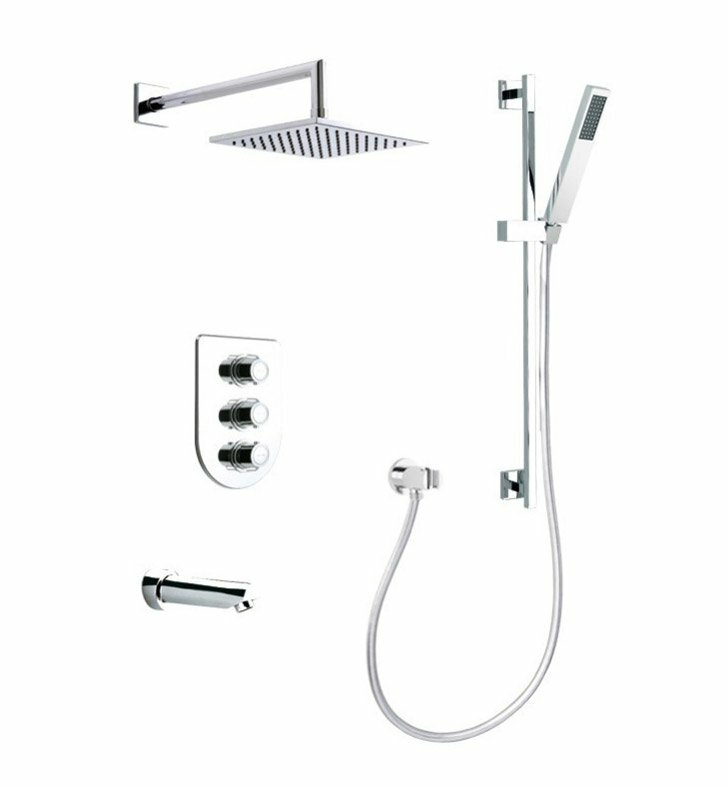 Begin with this high quality shower set. Wall mount and available in chrome, this brass shower set will fit perfectly into a contemporary personal bathroom. Designed and made by Ramon Soler in Spain. From the Ramon Soler Arola collection.